The recent announcement from the Academy of Motion Picture Arts and Sciences that the group is expanding the Best Picture category to 10 films is, in one sense, a fairly meaningless thing. But it may be the first delicate step toward something the purists don’t want to think about: audience voting for the winners. Here is my theory: by loosening the rules over time, the Academy will simply ease its way into having at least one category in which the winner is chosen by viewers. That’s my prediction and I don’t think this is a bad thing. Apparently confused over a declining interest in the show and a precipitous drop in their influence, the Academy is trying to spruce things up. So far the results haven’t been so great. Last year, they picked a group of past Academy Award winners to introduce the nominees in certain categories. While it may have seemed like a good idea -- nostalgia and star power all rolled up into one -- it made for stodgy television. To give the presenting actors extra time, we lost out on seeing film clips from the movies and the performances. These clips can still be fun, despite the fact that the only parts of the movie that the studios seem to license out are the trailers, but we didn’t get to see the clips at all. And some of the actors presenting the nominations seemed, um, under rehearsed. Adrien Brody’s introduction to Richard Jenkins made it seem like Brody was wholly unfamiliar with the actor. Also, it would have been nice to have actors who have achieved nominations but not wins sprinkled in among the presenters. That way you at least give a passing nod to the idea that it is an honor simply to be nominated, as they say. By just having those who have won the statuette you’ve diminished that notion. The Oscar race is, of course, a popularity contest, but its cache once lay in the idea that the experts, the actual members of the Academy, would validate the feelings of the audience. This happened when the Academy recognized films that audiences either respected and/or flocked to see. That was the connection. You felt part of the club. 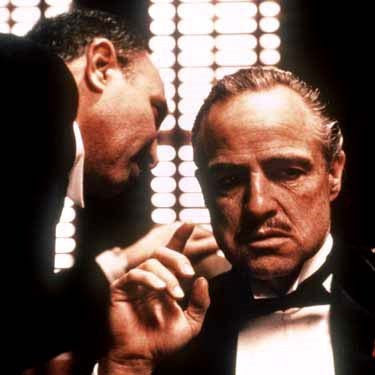 When this relationship reached perfect pitch (popularity + critical acclaim = Oscars) -- as in “Gone With the Wind”, “The Sound of Music”, “The French Connection”, “The Godfather” and “The Silence of the Lambs” -- everybody, audience and industry alike, was happy. Nobody is really happy any more. So the debate began to simmer on all sides: audiences and critics feeling disconnected. Now the fracture is pretty complete. Two years ago, the two critical darlings, “There Will Be Blood” and “No Country for Old Men” were not warmly received by audiences. There were people who passionately believed in these pictures, and there were others like me who were openly disdainful of them. But now we all had the Internet that allowed us to join in the debate. “Slumdog Millionaire” from last year had a schizophrenic reaction. Some people were elated by it, others found it mean-spirited and violent. (I haven’t seen it.) And then, of course, there is the black elephant in the room that has really jump-started this debate once again, a little art film called “The Dark Knight.” When the Batman film was dismissed (audiences and critics loved this film), everyone began to pile on. And so here we are. No doubt, in an effort to accommodate both “The Dark Knight” and “No Country for Old Men”, the Academy has opened up the Best Picture nominees to 10 (this was the way it was decades ago). I don’t think, frankly, that it will matter who or what is nominated; the debate will still revolve around the winner. So I’m not sure this gesture will help much. But I do think it is one small step for Oscar toward an “American Idol” type of audience participation. If they do it, they should have the audience vote during the Oscar telecast itself. The barrier between critic and audience has long been smashed anyway -- I see more trenchant observations about art and culture from blogs than I do in “Newsweek” or “Time” or many other established pubs. So this step, when it comes, obviously won’t wreck the track record of the Oscars (insert joke here). And, well, who really cares if the critics are unhappy. So bring the audience in to the Oscars. Don’t even wait. Do it next year. 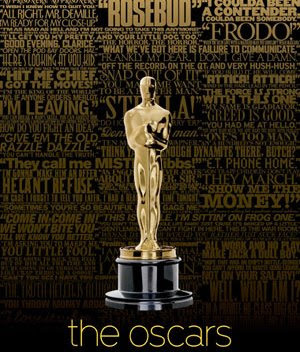 It could make the Oscars relevant - and critics may even be surprised who people vote for. It may even make the Oscars fun and suspenseful again.